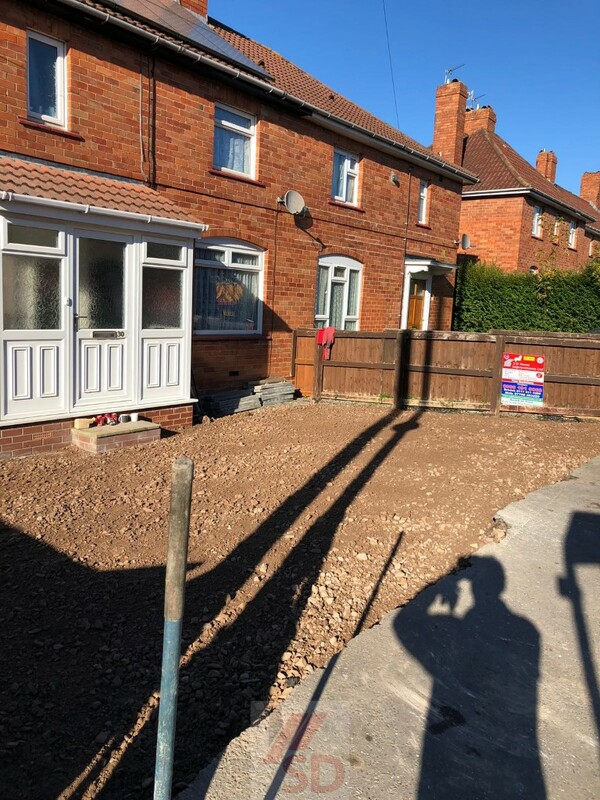 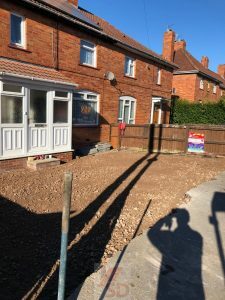 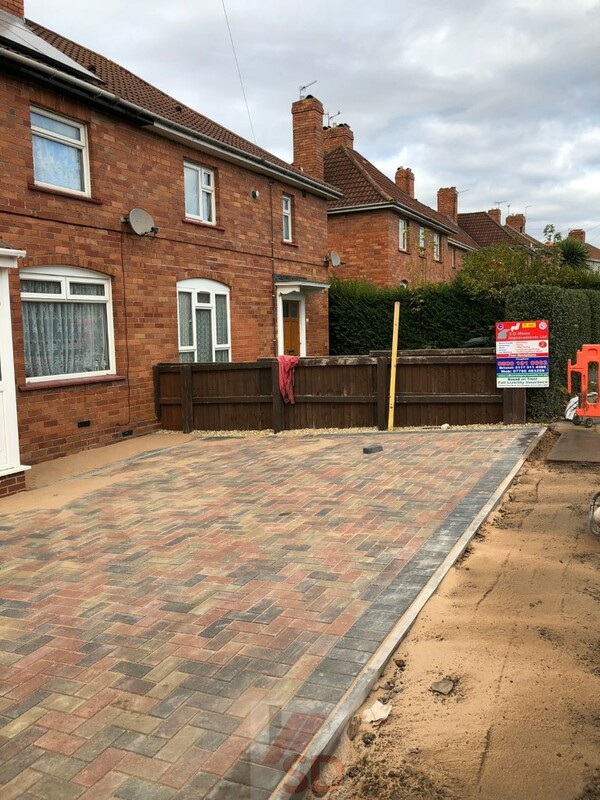 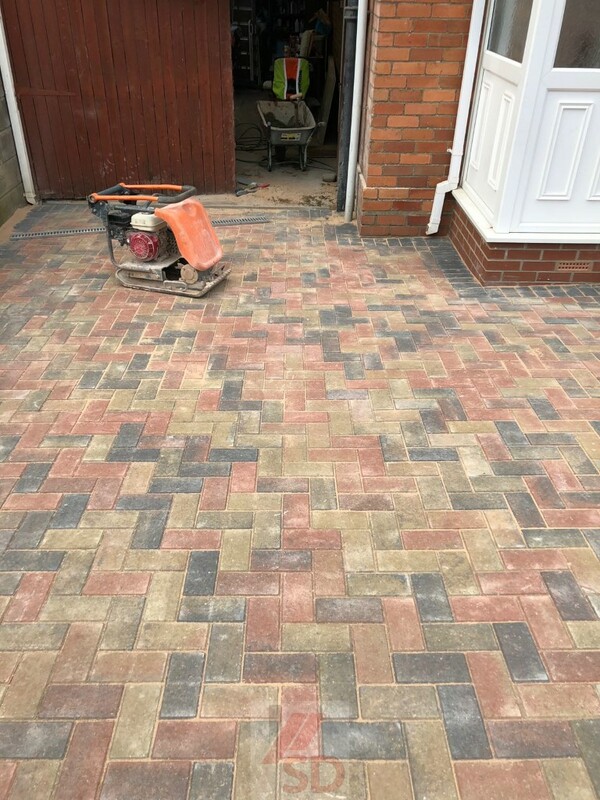 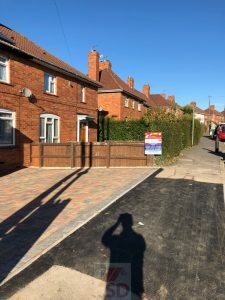 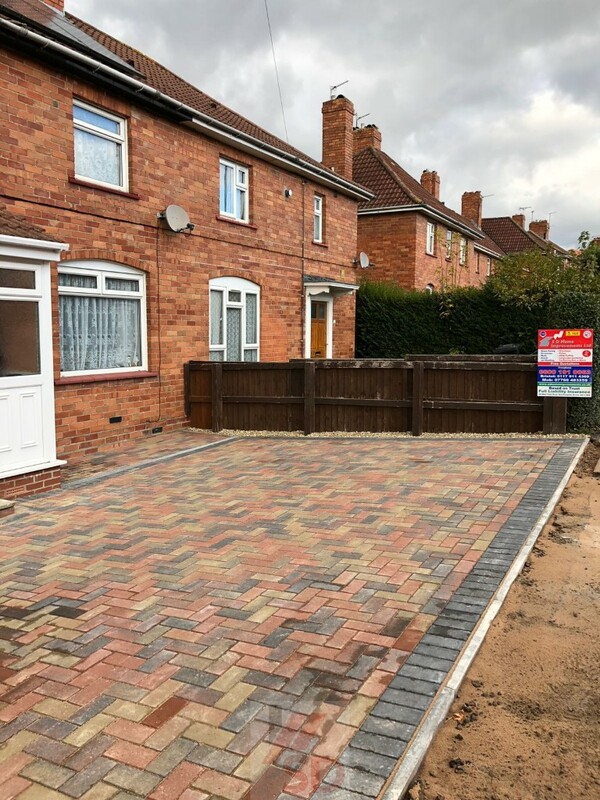 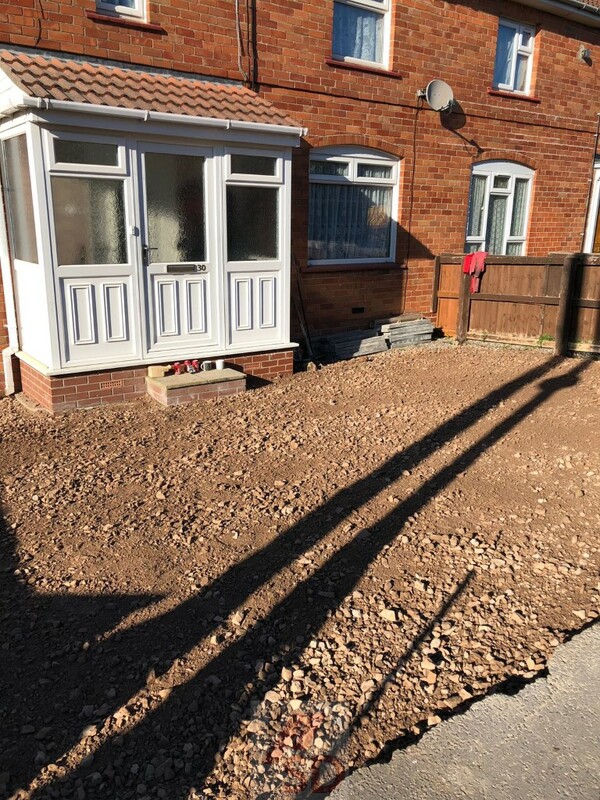 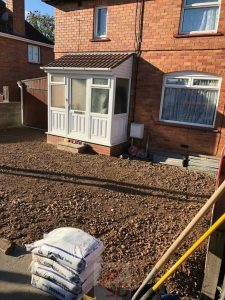 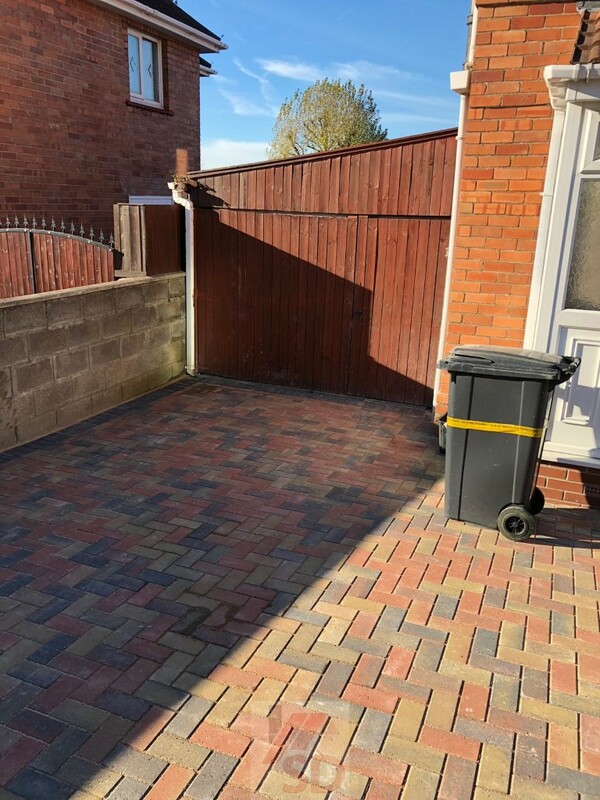 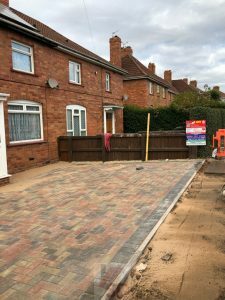 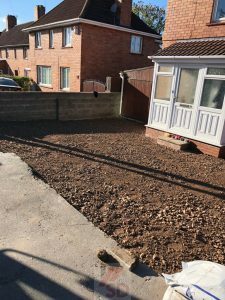 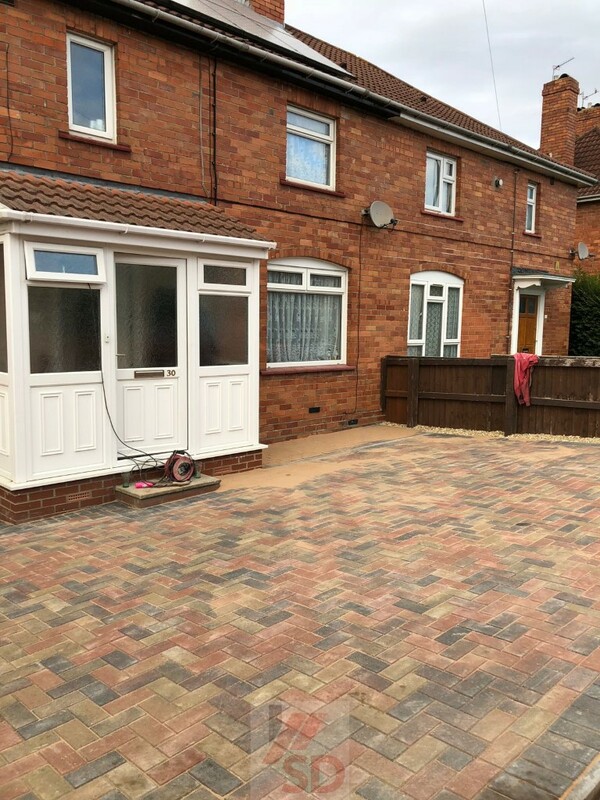 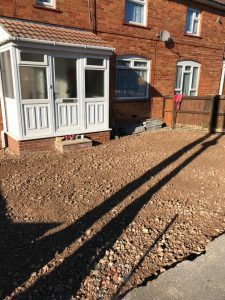 Replacement of existing area at front of house and a transformation into a new driveway. 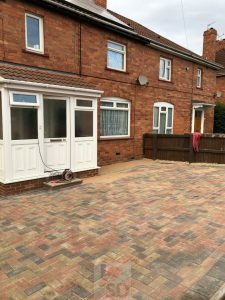 Existing area was completely renovated and removed. New base installation, stone based grit for screeding base and a block paving installation with Vendage block paving and a charcoal border. The block paving was installed in a 90 degree herringbone pattern. 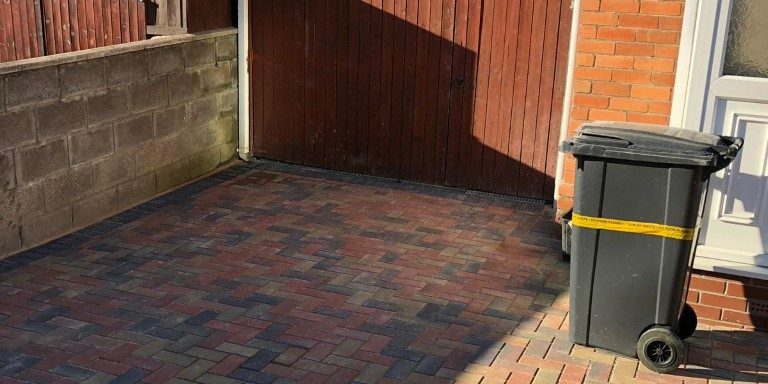 New step was installed at the front door using a brick and a slabbed step finish for it. We installed a new drainage system on the driveway using steel lidded Aco drains and piped into a new soak pit to catch all the surface water. 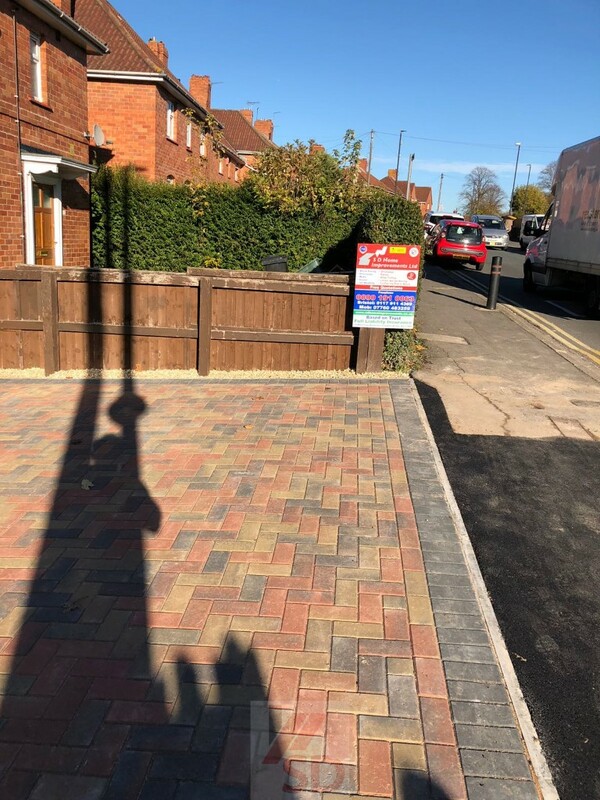 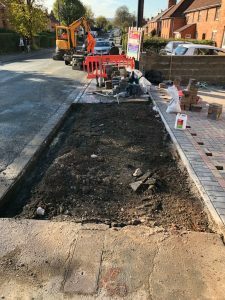 We removed the original kerbing at the front and installed a new crossover with a dropped kerb which we sloped and installed a tarmac surface on it. 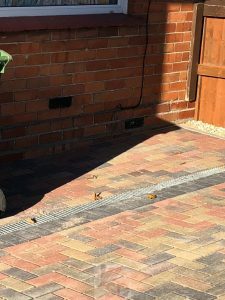 The dividing edge between driveway and pavement was done using a flat top concrete edging kerb benched in concrete.